Here are a couple suggestions after Week 11 of the 2018 fantasy football season. You’re welcome. He’s in, then he’s out, then he’s in. The Bucs have been more finicky than a cat that…well, I guess any cat, when it comes to starting QBs. But after a really lackluster 2 and a half quarters with FitzMagic against a subpar Giants defense, Winston entered and completed 12 of 16 passes for 199 yards with 2 touchdowns and an INT, almost bringing the Buc back for a win. But we’ve seen the opposite happen before with Winston playing poorly and Fitzpatrick almost winning the game, so take all of this with a grain of salt. 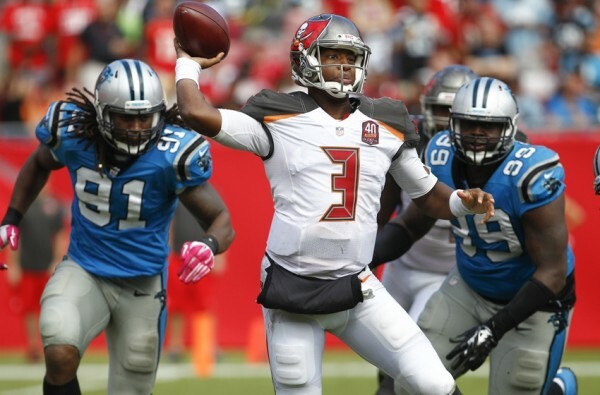 The Bucs are noncommittal on their Week 12 QB, so keep a close eye on this. If he is named the starter, he’s worth your consideration in 14-team leagues or in 2 QB leagues. 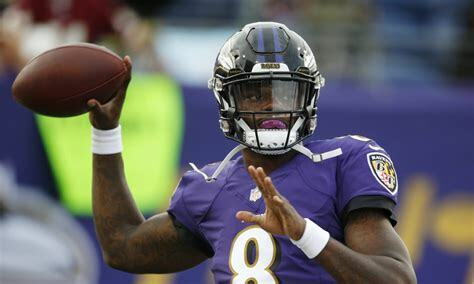 The last first round rookie QB to start a game, there was plenty of hype for Lamar Jackson when Joe Flacco was ruled out. Jackson didn’t disappoint after rushing 27 times for 117 yards and completing 13-of-19 passes for 150 yards and an INT. Jackson probably won’t light it up over the air, but the floor is set with the rushing yards and there’s plenty of upside against the Raiders the in Week 12, assuming Flacco doesn’t get healthy and get the start. Keep an eye on what happens with Flacco, but if Jackson gets the start, he’s a nice streamer in all 14-team leagues or 2 QB leagues. In a serious blow to the Redskins’ playoff outlook, Alex Smith broke his fibula and tibia in horrific fashion and is now out for season. 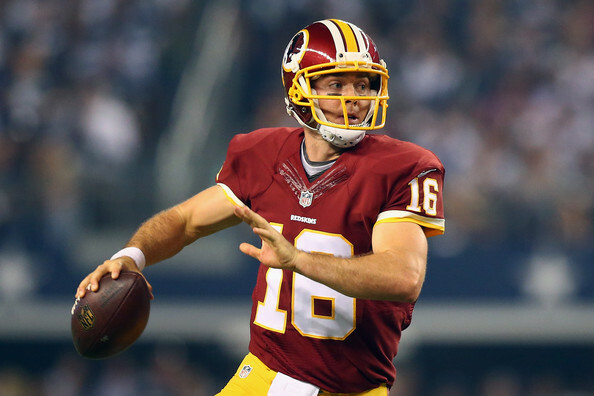 In came Colt McCoy, and all things considered, played rather will completing 6 of 12 passes for 54 yards and a TD, as well as 5 rushes for 35 yards. He’s never going to be top tier, but if you need a backup in a 2 QB league, or a 16-team league or deeper, maybe he’s worth a look. 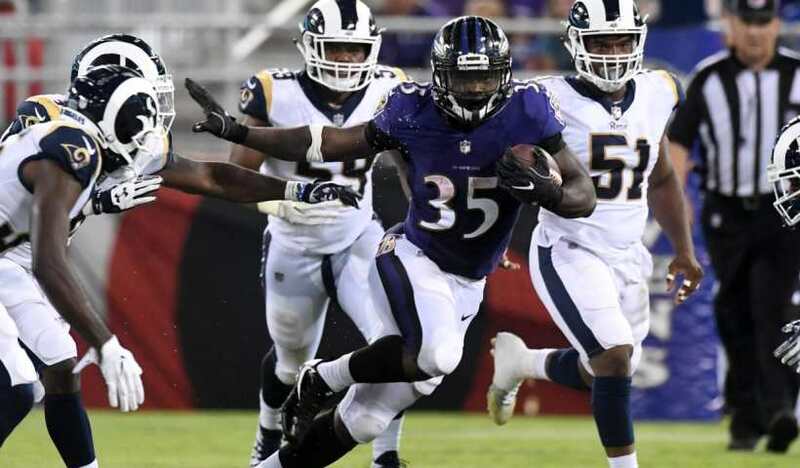 The Ravens have had a little bit of a rotating door in the backfield, and in Week 11, it was undrafted rookie Gus Edwards to step out of nowhere and rush 17 times for 115 yards and a TD. Alex Collins may still be “the guy”, having a little bit of an off day, yet still being somewhat productive rushing 7 times for 18 yards and a TD. Then there’s also Buck Allen and the newly acquired Ty Montgomery back there. So I’m not willing to put too much stock into this one performance, but if you’re really hurting for an RB in 16-team leagues or deeper, he’s worth stashing to see how this sorts out. It’s been a bit of an up and down rookie year for D.J. 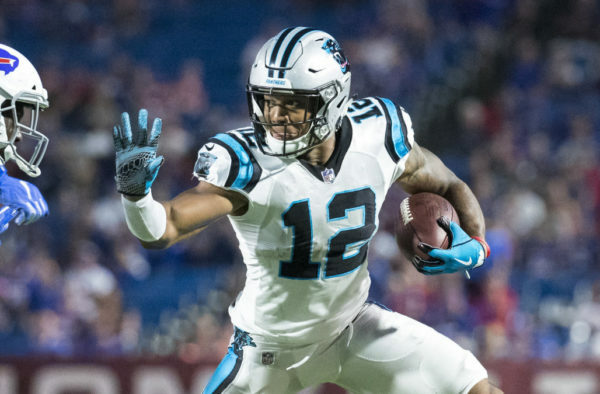 Moore, and today was definitely one of the ups as he snagged in 7 of 8 targets for 157 yards and a TD, including an 82-yard catch and run that was the longest non-scoring play from scrimmage this year. Moore has the route skills and speed to be incredibly dangerous to opposing defenses. There’s unlikely to be any consistency, but if you’re looking for a 50/50 play with serious upside as your WR4/Flex in 12-team leagues or deeper, you could do worse. 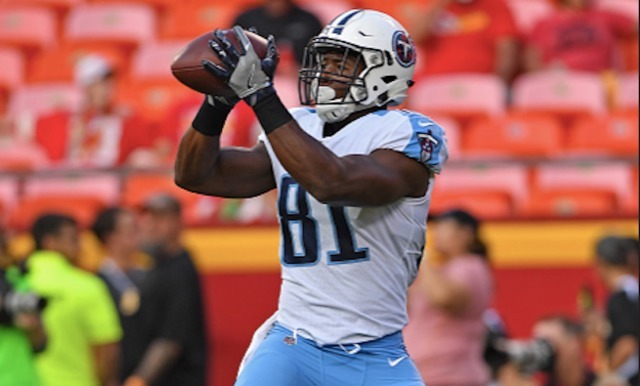 After all-pro TE Delanie Walker went to IR, we thought that Jonnu Smith MIGHT just step up. And he did it once, and again and again in Week 11, so I’m starting to believe now. His back-to-back games with TDs was followed up with catching 6 of 8 targets for 44 yards. The yards aren’t huge, but the 8 targets are terrific, and quite a step up from the 2 and 3 that he got in the previous weeks. It’s unclear if Marcus Mariota’s elbow injury is serious, but if not, perhaps Smith can be serviceable in 16-team leagues or deeper. With Cooper Kupp out, there was some questions as to who would pick up the slack. Would it be Tyler Higbee, Gerald Everett or Josh Reynolds? How about all of them? Reynold managed to catch 6 of 8 targets for 80 yards and TD, and almost had a second one but had his second foot barely touching the chalk. The two TEs look interesting as well, but will likely make each other tough to rely on, but Reynolds looks for real. 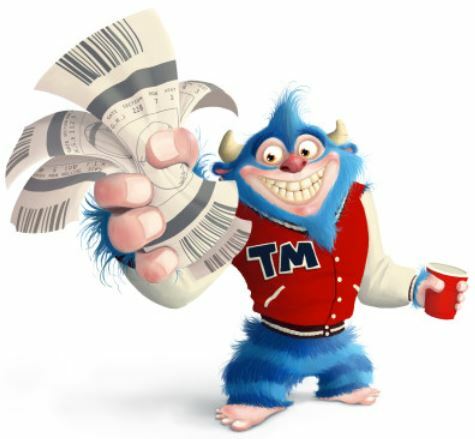 If you need a lottery ticket in 14-team leagues or deeper, give him a shot.